*STUNNING* *MODERN* SE CORNER SKY HOME COMPLETELY REMODELED DOWN TO THE STUDS, Over $150K!!! *** BREATHTAKING DIRECT OCEAN & BEACH VIEWS FROM EVERY ROOM *** OPEN FLOOR PLAN WITH HUGE MAIN LIVING AREA *** 32" white glass-porcelain floors throughout! EXOTIC Blue Jeans Granite counters! High end Farrey's faucets, sinks, etc. CUSTOM cabinetry, closets,builtins! New IMPACT Windows, Bosch A/C, wiring, plumbing! Onsite restaurant,gym,pool&beach service,etc. 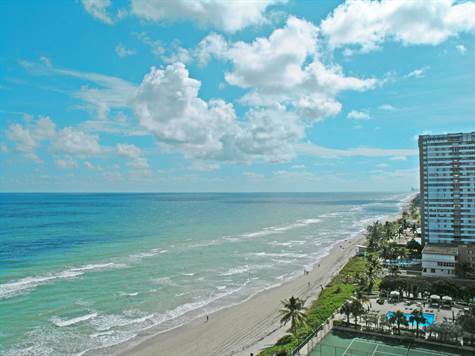 Walk to shopping & dining on Hallandale Beach Blvd!